Valiant Air Command, a non-profit organization dedicated to research and warbird restoration, sponsored the show to share the story of these aircraft and their crews who gave their lives to protect this country. To serve that purpose year round, they have a museum opened seven days a week which has been recently certified by the USAF National Museum. 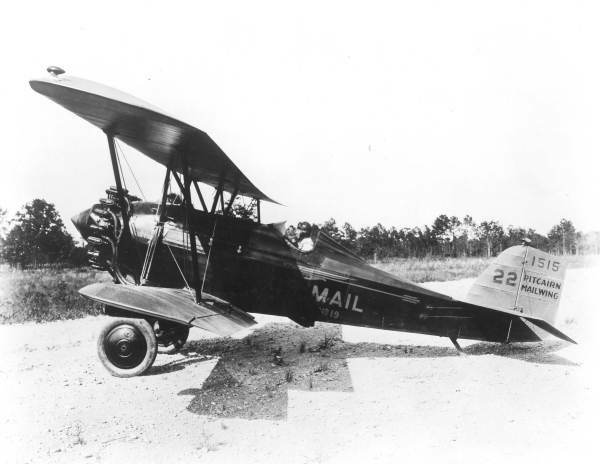 The Command’s signature aircraft is the Tico Belle (seen below), a workhorse in several wars starting with World War II. The aircraft is fully restored and available for rides. Civil Air Patrol members came from Orlando, TICO, Seminole, UCF FL-242, Central Florida, Patrick, Osceola, and Palm Bay Squadrons, and Deland and Merritt Island Flights. They directed traffic, helped with parking, manned cordoned areas for safety and security, assisted with helicopter rides, worked the main gates, sold tickets, and manned a CAP booth and aircraft display. CAP assisting the “Sky Soldiers” Army Aviation Heritage Foundation as they gave rides on the UH-1H Iroquois “Huey”, an Army aviation troop transport. The photos on this blog were taken by Sandy Parks of the Friday crew. Some of those photographed were busy executing their jobs and unavailable to give out their names. If you recognize anyone not identified, please leave a comment and the information will be updated. Not pictured, but much appreciated is CAP organizer Capt. Sue Martin. Cadet Feliciano, UCF FL-242 Squadron, and Cadet Martin selling tickets at Gate 2. Hannah Clarke, Merritt Island Flight, directing traffic to parking area. Alex Cabera, UCF FL-242 Squadron, directed traffic into Gate 2. Hannah Clarke, Merritt Island Flight. Two CAP members selling tickets at Gate 2. Boeing B-17G “Chuckie” Flying Fortress at TICO Warbird 2013 Airshow. Aircraft is from Military Aviation Museum, Virginia Beach, Virginia. John McMillen, TICO Squadron, on traffic duty. Chris Bernhardt, Seminole Squadron, parking vehicles. Chris Bernhardt, Seminole Squadron, learning the art of tight parking. Kenny Palacio, UCF FL-242, directing traffic. North American B-25 “Mitchell” bomber. A medium bomber named in honor of General Billy Mitchell and used in the 1942 Doolittle Raid. Joshua Martin, Deland Flight, securing pilot’s gate near pilot tent. Luvke Fransbergen, Seminole Squadron, working the parking area. Cole Frank, Orlando Squadron, working the VIP parking area near private aircraft parking. Silvio Bohuszewicz, TICO squadron, securing the VIP and flight line area. Thomas Wolf, TICO Squadron, showing the cockpit to an airshow visitor. Manning the CAP information tent Lt. Theresa Stalnaker, Seminole Squadron and Maj Tony Wood, Patrick Squadron. Ian Spirduso, Central Florida Squadron, and Andrew Briggs, Palm Bay squadron, worked at Gate 1. Nicholas Bersoux, Palm Bay squadron, worked Gate 1. USAF Thunderbirds F-16s performed after duties were complete for most CAP. Joshua Martin and Capt. Tac Kong of Deland Flight. With duty done, time to watch the Thunderbirds perform. Maj M.M. Wieser, Osceola Squadron, manned the CAP information tent. CAP assisting the Huey crew. If spaces were available the CAP workers caught a ride. Briggs, Capt Scott Brown TICO Squadron, Stalnaker, Bohuszewicz. Christian Jones, TICO Squadron, preparing to head to his post. Civil Air Patrol worked together with the Valiant Air Command to help make the Airshow days run smoothly. The VAC “Tico Belle” tail seen through the CAP aircraft strut. For fun way to jazz up the dull emergency briefing on flights, check out this Southwest Airlines Flight Attendant. A trip to the far reaches of this planet (in any reasonable time period) inevitably requires air travel. Armed with my iPad, one medium suitcase, one small suitcase, two small carry-on bags, a camera bag, and a canvas beach bag for stuffing souvenirs, my husband and I set out for Korea and China. First stop…the baggage check counter. After a brief sigh of relief that we were underweight by a few extra pounds in the medium suitcase, we hopped Southwest Airlines to San Francisco. After a few days visiting the seaside city, we headed to San Francisco International terminal and our next hurdle, having every single piece we carried on the aircraft weighed by Singapore Airlines. Now, honestly, for almost a 3 week trip, we packed relatively light, especially when you consider the medium suitcase was partially filled with 3 battery rechargers for the different cameras, two sets of plug adapters (including a surge suppressor made for electronics – worth every cent), rain gear, and a full medicine kit for any contingencies. To my surprise, our meager carry-ons came in a few kilograms overweight. The counter agent politely asked if we carried a computer. Thinking of my iPad, which hardly constitutes a computer even with a word processing app installed, I answered sure. It is a distant cousin, isn’t it? The agent nodded and said we were fine without even looking. Guess you get a few extra kilograms allowed for a “heavy” personal computer. Not a bad thing to keep in mind for future travel. Hmmm, maybe I ought to consider a MacBook Air. Wait, I spent any funds for that on this trip. With no attachments to Singapore Airlines except choosing to travel on them, I will give the airline and Boeing 777 kudos for the most comfortable seats on any overseas flight I’ve taken to date (economy class). Business class looked pretty spiffy, too, but I had no time to stop and test them out on the way to economy. The trip to Seoul’s Incheon Airport took around 12 hours and with the time change we lost a day (hey, we got it back on the way home). The food came in with a high rating, too, with choices of European or Indian fare. Took until I got home and researched Singapore Air to understand the Indian food connection to the original Malaysian airline. That’s the same reason the flight attendants still wear the tailored batik sarong outfit. I won’t admit I watched the Green Lantern, Transformers, and X-Men on the flight, but just saying they had those among the many choices. A quick note about airports. Both Incheon and Beijing Capital International Airports had stores that left me feeling a meager member of a poorer class. My husband had no idea you could spend as much money on a leather purse as you could on a small airplane and at a store in the airport, no less. I hadn’t seen that many high end brand names in one place since walking 5th Avenue in NYC or in Rome. Odd thing, too, is once through security the terminals had no place to buy little snacks like nuts, gum, or candy (unless you wanted to buy as gifts or in bulk). LOL. Once done with our visit in Korea, the next leg took us on Air China to Beijing. Eventually we’d also fly Air China from Xi’an to Guilin and then back to Beijing and then again from Beijing to Seoul. Since Air China usually didn’t pull up to a gate (we had to be bused out and climb stairs), I only snagged one photo. An A330 or 737’s took us on the various legs. As far as comfort…let’s just say, I’m 5’4” and had the impression the seats were made and set for even smaller people. Not so comfortable. Guess the Chinese saved the comfort factor for the high-speed train seats. We also had the opportunity in the Beijing Airport to watch an A380 being loaded. So much activity for one very big plane. I snapped a quick photo showing catering vehicles reaching all the way to the top level. The fuselage swallowed multiple containers of cargo and bags. We laughed when the quiet waiting area where we sat near the Lufthansa gate burst to life with chatter and roller bags. We counted at least a crew of 20 arriving. Perhaps because of the major international airports we hit on this trip, I saw A380’s with varied airline markings, parked, taxing, and loading passengers. I hadn’t realized how widespread their use was becoming. Anybody out there with a chance to ride on or pilot an A380?